For many companies today, expenses (i.e., expenditures/spending) that flow through expense reports aren't being managed optimally. The real objective is to optimize all spending and only use expense reports and commercial credit cards where absolutely necessary. However, consumer–grade niche payment solutions and travel–related services, while valuable in their own ways, introduce complexity into the overall spending process. 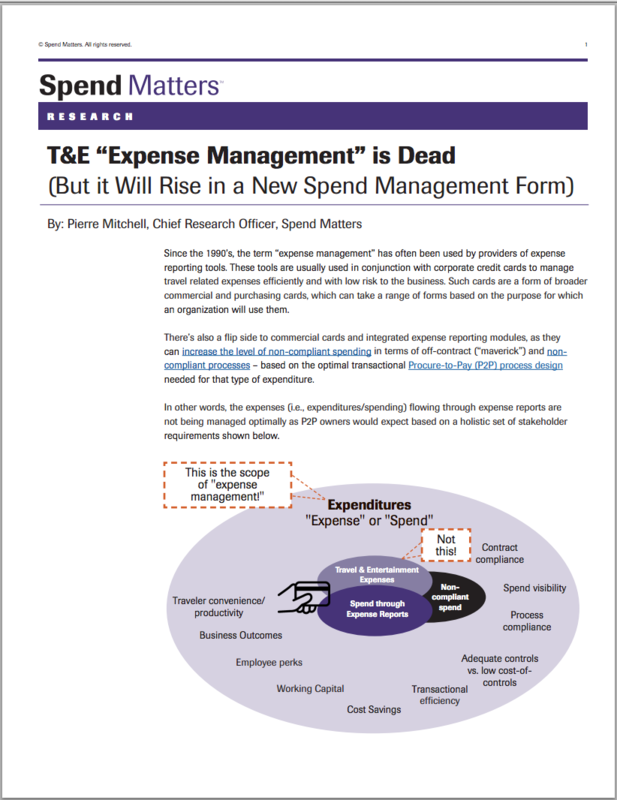 Read this research report by Spend Matters to learn how to deconstruct and rebuild expense management in a smarter way, i.e. spend management, which leverages key trends surrounding electronic payments and cloud–based platforms and applications. Download your copy of the report now.